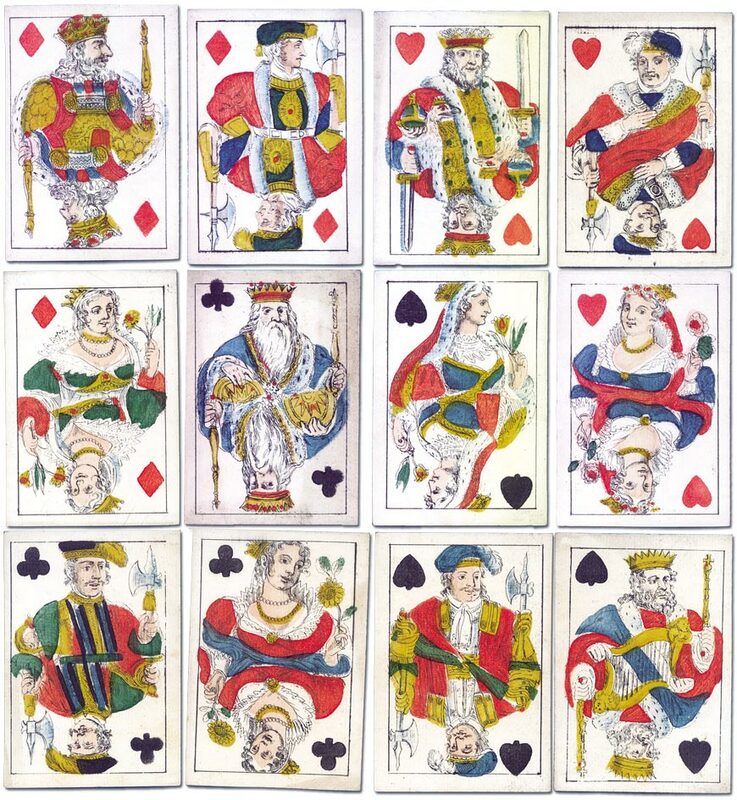 Sometime around c.1850 Reynolds & Sons produced this non-standard or variant pack with courts inspired by Continental designs, based loosely on the French 'Paris' pattern. The finely engraved designs have been coloured with stencils. The backs are plain. The 'Old Frizzle' Ace of Spades shows the duty of one shilling which was payable on cards for the home market during the period 1828-1862. This duty was collected by the Stamp Office through the sale of these specially printed Aces of Spades which manufacturers had to purchase. 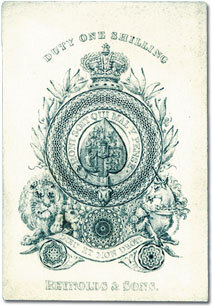 The plates for these aces were made by Perkins Bacon and Petch and then printed by the Stamp Office.